2010 is a busy year for St. Johnstone goalkeeper and club record appearance holder Alan Main, who has been granted a testimonial. The Perth keeper, who has clocked-up an unprecedented 361 starts for the club in two spells at Perth, is being honoured by Saints fans, with plans coming together for a variety of events. The testimonial year was officially launched at McDiarmid Park, with Binn Skips unveiled as the main sponsor. John Cowmeadow, chairman of the 13-strong Testimonial Committee, said: “It’s great to have the support of John McGregor and Binn Skips. He’s a Saints man through and through. The events so far – the Race Night and the Sportsman’s Dinner – were a great success and enjoyed by everyone who attended. For details and pictures go to the Events page. 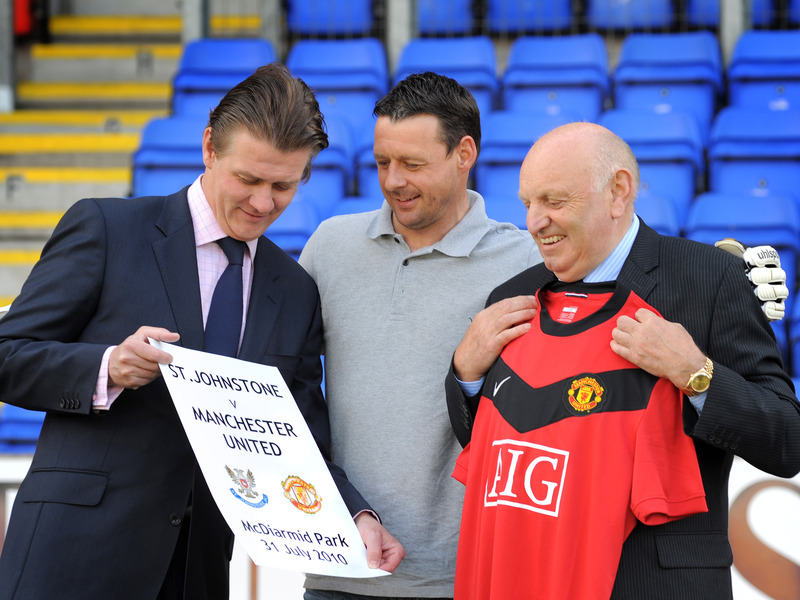 Alan’s Testimonial Match v Manchester United XI is on Saturday 31st July, kick-off 3.00 pm. Details of Hospitality Packages are on the Big Match page.